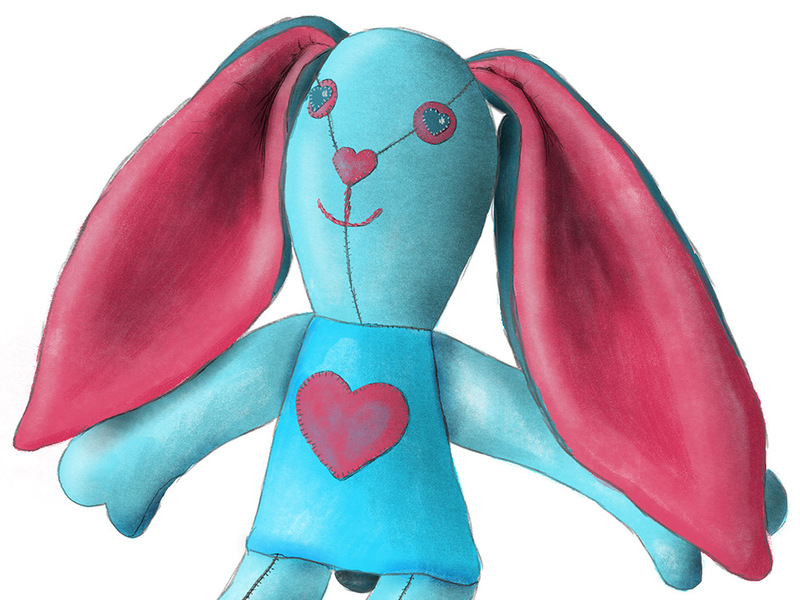 A soft toy I sewed while being a tester for Abby Glassenberg’s book, and an experiment with Photoshop brushes: this week’s project was almost the same as last week’s, except I replaced the kangaroo by a bunny, and Kyle Webster‘s pencils by his watercolor and gouache brushes. Ridiculous confession: I almost gave up on the idea to use this bunny because I suddenly got obsessed with… its thumbs. Aren’t they upside down? Shouldn’t they be pointing up? Maybe I could still do the drawing but change the thumbs? 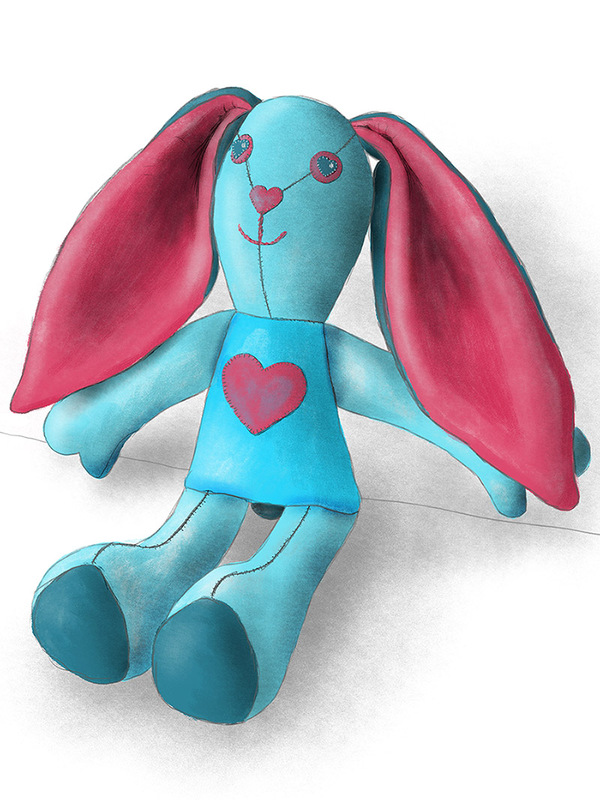 And this is how I procrastinated for quite a while before finally starting to work on a version of a bunny just like it is in real life, because at one point you have to stop procrastinating for silly reasons if you ever want to create anything. Funny fact: thumb rhymes with dumb. That being said, I’m going to show the finished drawing, now, and you must promise to forget what I just said for a while. You can always open your arms and hands and check your thumbs later, once you’re finished reading, if you don’t mind. 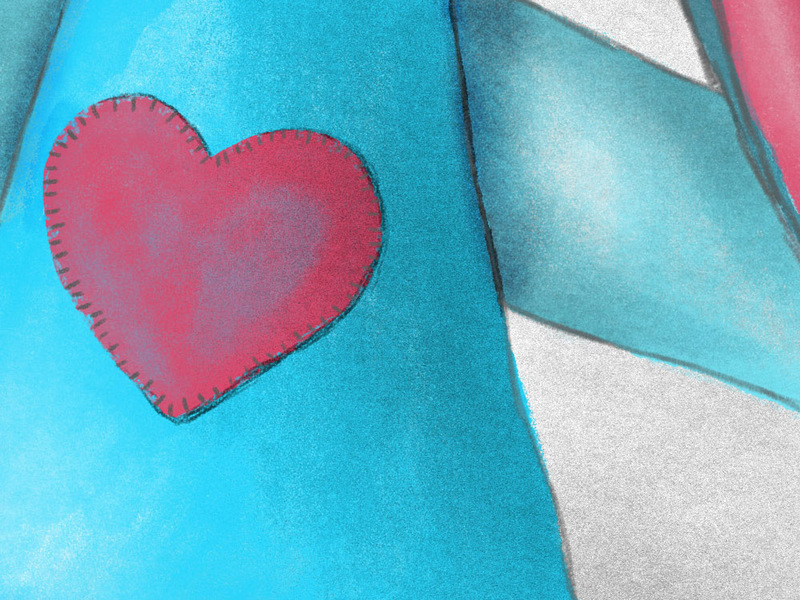 While drawing the little stitches around the heart, I had a feeling of déjà vu. No wonder. A soft toy with a pink heart sewn in the front? Not the first time I draw one! I created the image below in 2009, based on another chilling image I had created in 2005. 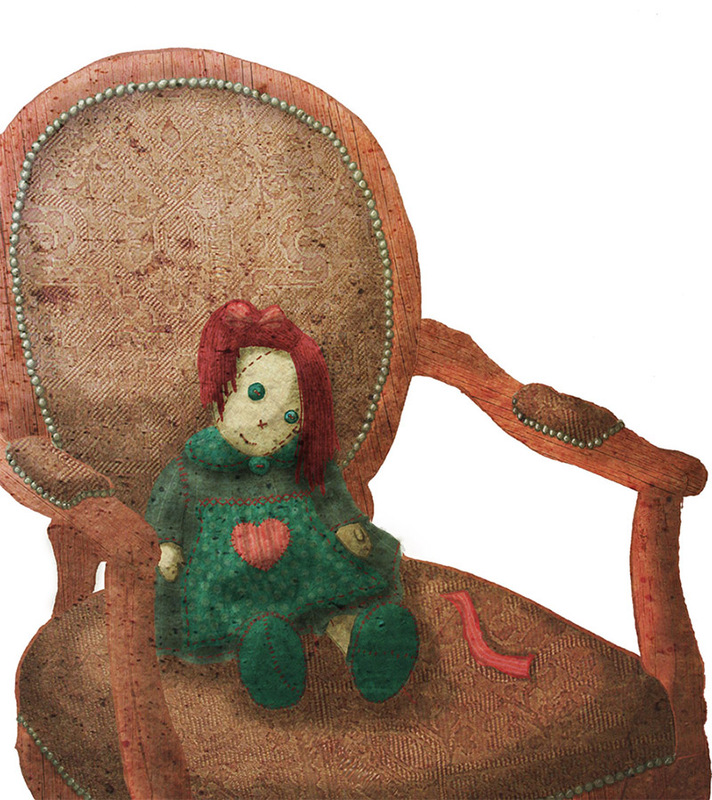 And now I have Jonathan Coulton’s Creepy doll song stuck in my head for the rest of the day. 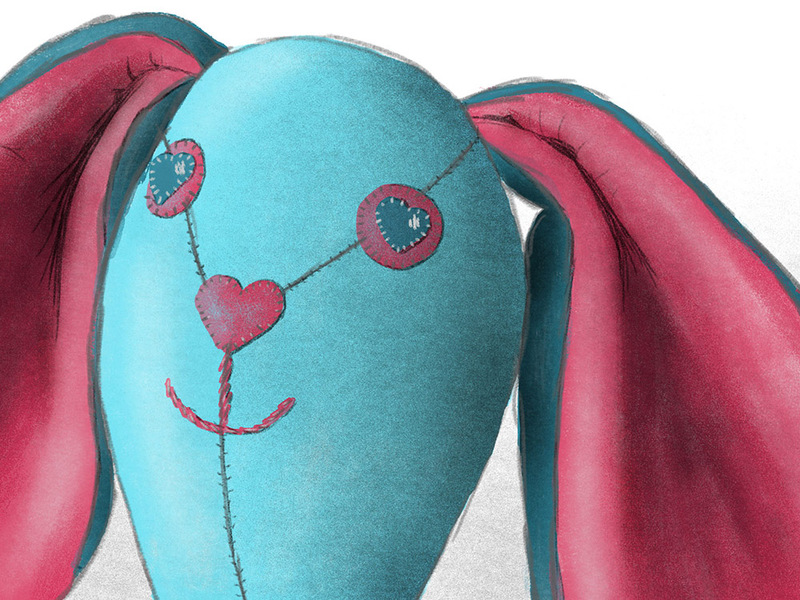 Back to the bunny, here’s an animated version of the image in progress. Those watercolor and gouache brushes are challenging, I’ll need a lot more experiments to master them! 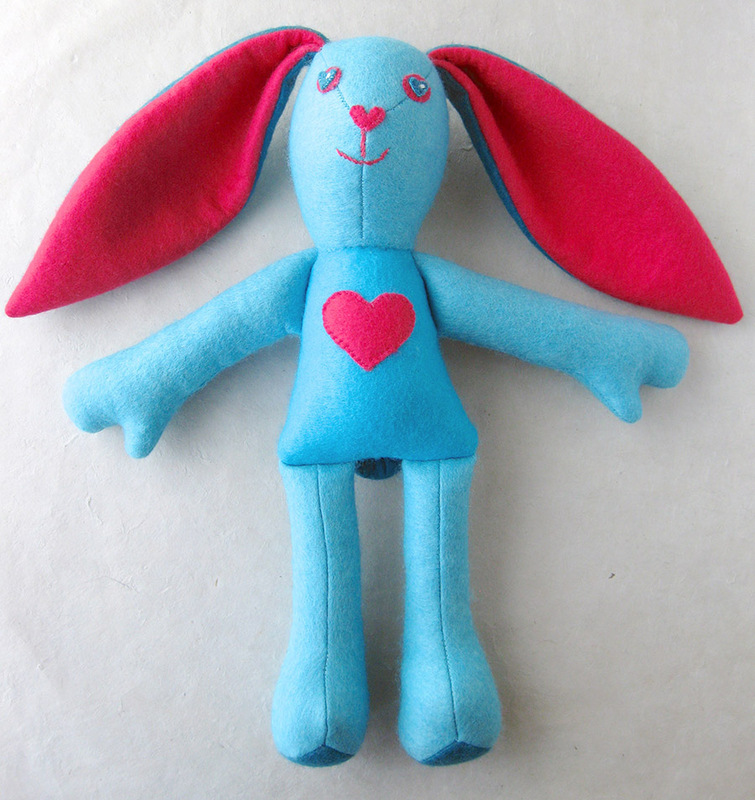 And here’s the original handmade bunny.